At Wolfeton Manor we employ around 40 staff members who have been through extensive training to ensure they provide the best quality of care to every individual resident. Each staff member is dedicated to providing individualised support for the residents through a wide range of activities ranging from providing excellent home cooked nutritious meals to assisting the residents with personal care. Our workforce are the lifeblood of the home and we are proud of each and every staff member. Wolfeton Manor is committed to providing person-centred care to each resident, ensuring an appropriate number of staff with the correct skills and equipment are available at all times during their stay. Over the years, we have built up a team of established care professionals and it is rare that we have the need to use agency staff. This is a huge bonus for the home as we are able to provide our residents with superb continuity of care and our residents benefit from the ongoing relationships they can create with familiar faces. Great home lovely and friendly. Claire is the Registered Home Manager at Wolfeton Manor. 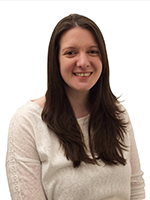 Claire is trained to Level 5 Diploma in Leadership for Health and Social Care - Adults Residential Management. 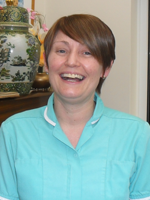 Claire has worked at Wolfeton Manor since 2009 and has 14 years of experience in the Care industry. Jodie has 7 years experience in the care industry, and for the last 4 years she has been working with the local District Nursing Team. Many residents and staff already know Jodie and have given her a warm welcome into the home. 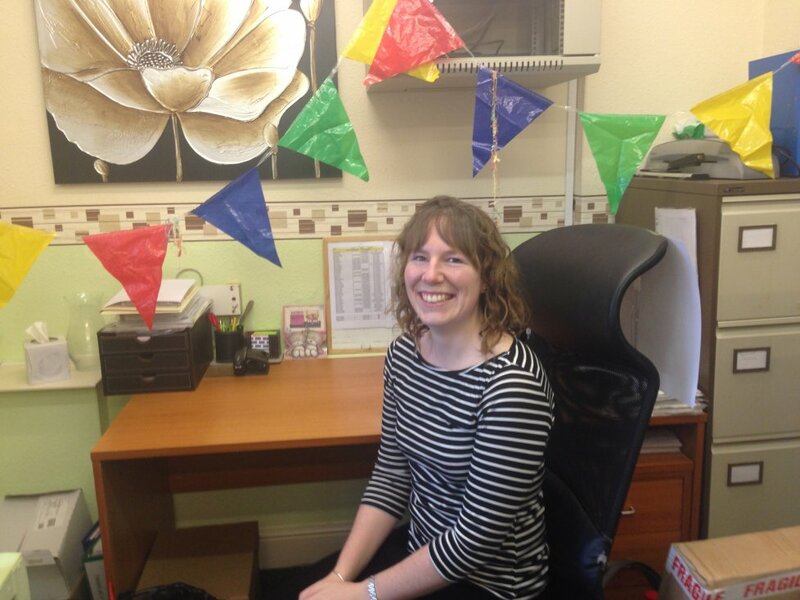 Michelle is the Administrator and Assistant Deputy Manager at Wolfeton Manor. 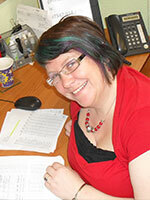 Michelle has completed her NVQ Level 3 in Business Adminstration and keeps us all organised! 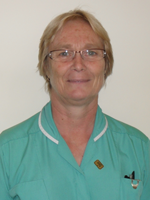 Sally is a Team Leader at Wolfeton Manor and has completed her Level 5 Diploma in Leadership for Health & Social Care. Pam is a Team Leader at Wolfeton Manor and has over 20 year’s experience in Health and Social Care. Pam is trained to NVQ Level 3. 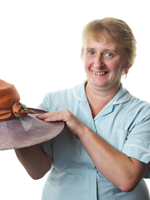 Anne is a Team Leader at Wolfeton Manor and holds an NVQ Level 4 in Health and Social Care. 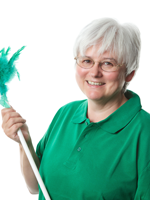 Anne has worked in the Care industry for over 20 years. Debbie is a Support Assistant at Wolfeton Manor she has worked at the home for many years and is trained to NVQ Level 3 in Health and Social Care. Lorna is a Support Assistant who works day and night shifts at Wolfeton Manor. 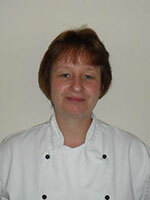 Tanya is our Chef and has worked at Wolfeton Manor for 7 years. Tanya is trained to NVQ Level 2 in Health and Social Care and NVQ Level 2 in Food Processing and Cooking. Tanya also holds a Level 3 Award in Supervising Food Safety in Catering ensuring safety and professionalism in our kitchen at all times. Jane is our Domestic Assistant and has worked at Wolfeton Manor for 11 years. 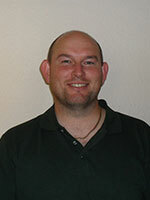 Jason helps us with all types of maintenance, upkeep and decorating around the home. Set in the beautiful county of Dorset, Wolfeton Manor is a residential care home specialising in care and support for the elderly. Our team of experienced staff provide professional care to our residents 24 hours a day, and focus on delivering personalised care plans to each individual resident. One of the most highly regarded care homes in Dorset, Wolfeton Manor offers a wide variety of different care services to help residents maintain their independence whilst enjoying a safe, healthy and active lifestyle.